The boutique amp boom of the '90s and beyond was virtually born on the notion of recreating classic tube amps from the '50s and '60s. Witnessing the success of several smaller independent makers, big manufacturers like Fender, Vox, and Marshall soon caught on to roll out legitimate reissues of their own. Many other outstanding makes and models have thus far evaded the rebirth they richly deserve, however. Though their original incarnations won fans and cult followings, they remain unavailable to the larger guitar-playing public. Let's take a look at seven guitar amps deserving of thoughtful reissues. 1957–'58 Gibson GA-70 "Country Western"
Gibson’s amp designers of the ’50s and ’60s purportedly took pride in avoiding copying any of the models from popular California upstart Fender… until it became just too obvious that was the sound that so many players demanded. The model GA-70 combo is often regarded as the first creation out of Kalamazoo to aim directly at the Fender sound. While redesigned after the first run in '56, the '57-'58 GA-70 "Country Western" had a circuit and speaker complement that are broadly similar to the narrow-panel Pro Amp of that era. As a result, guitarists in the know have long acclaimed them as the best-sounding models of Gibson’s entire vintage range. The 1x15" combo put out about 30 watts courtesy of a pair of 5881 output tubes (similar to 6L6s). Unlike most Gibsons of the day, these were fixed-bias rather than cathode-biased, meaning the amp was a little tighter and had more headroom, with a firmer bass response too. The inputs for Microphone and Instrument linked to channels that were, in fact, identical, and from there they shared controls for Bass, Treble, and Fidelity. The latter three lead us to the GA-70's other claim to fame: that it was the inspiration for Vox's Top Boost EQ stage. The Bass and Treble controls, in fact, governed the same cathode-follower tone stage already found in larger Fender tweed combos post-'55, while the Fidelity control was the same thing as the Presence control found on rival amps… only wired backwards. Vox's incorporation of the backwards potentiometer wiring (yielding a control they instead called "Hi Cut") and adherence to another anomaly in the Gibson schematic does seem to point to the GA-70 as the Brits' inspiration, though. Specs aside, the GA-70 is a great-sounding amp with a big, bold tone that breaks up sweetly without getting too loud, and a lot of dynamic touch sensitivity for blues, country, jazz, or garage rock, or plenty of other genres besides. Other makers have offered re-creations of other versions of the tweed Tremolux, and Fender itself has even delivered the (now deleted) EC Tremolux, but that rendition of the first iteration of the Tremolux design—as did these others—represented a genuine missing-of-the-boat, in my opinion. The debutante 5E9 Tremolux of '55 and the 5E9-A that followed were essentially 5E3 Deluxes with tremolo added. And while that might seem a great thing—and perhaps is, in its own right—the tweed Tremolux really came into its own with the totally revamped 5G9 circuit of '57/'58. At this point, the Tremolux became a bigger amp—literally—and a glorious new model unto itself, in so many ways. Even fans of the legendary tweed Deluxe have often complained that it could do with a little more headroom, a less "boxy" sound, and a bigger and tighter sound overall. The Tremolux managed all of these tricks, with a great output-bias-modulated tremolo added in besides. How did it do that? 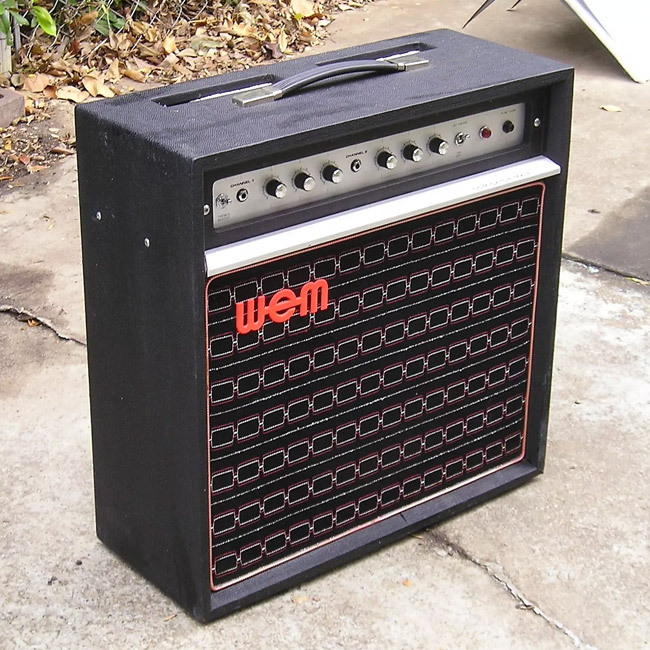 It was essentially built like a stripped-down tweed Bassman in a 1x12" cab… with 6V6s… and tremolo. Instead of being cathode-biased like the Deluxe, the Tremolux was fixed bias, making it tighter and bolder-sounding, and it also had a choke in the power filtering, which the Deluxe lacked. And in place of the cathodyne (aka split-load) phase inverter that all of Fender's smaller and medium-sized amps carried, it had a more complex long-tailed-pair inverter, which also helped to make it clearer and less compressed sounding. Even the tweed Super, Pro, Bandmaster, and low-powered Twin didn't have that feature, which only appeared on the Bassman and high-powered Twin. 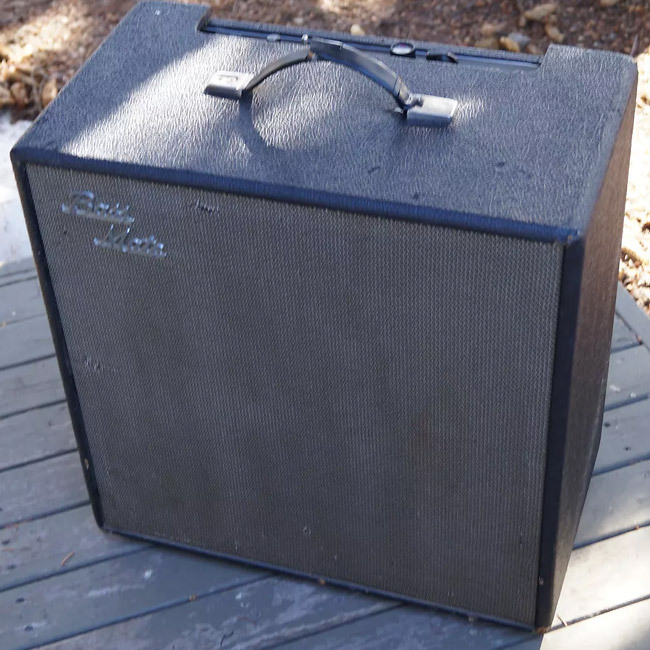 Top it all off with a bigger combo cab (the same size as used by the 1x15" Pro) and a solid 18 watts from two 6V6s, and the late-'50s Tremolux is a superb-sounding Fender tweed, with enough clarity to twang and chime when you need it, but a sweet, dynamic overdrive when cranked, without bringing the walls down. The Mesa/Boogie name is legendary in rock circles, but when you're talking heavy rock and metal tones circa mid-'80s to '90s—think everything from Metallica to Dream Theater—it's just got to be a Mark IIC+. The Boogie Mark Series amps tracked a progression in the seminal cascading-gain designs of Randall Smith (with later help from colleagues like Mike Bendinelli), and the amps of the early '70s right through the '80s and into the early '90s progressed from the Mark I to Mark II to Mark III… and so forth, with the Mark V going strong today. Each changed a little along the way, but no Mark Series encompasses such a dramatic evolution as seen in the Mark II amps. The Mark II Series added foot-switchable rhythm and lead channels to the game, but each step along the ladder—from the first (erstwhile A), to the B, to the C, and finally the C+—brought several other alterations to the circuit, most notably to the gain levels and lead voicing. The Mark IIC+ was the fiercest, brightest, and most incendiary of the bunch, and hence the choice of countless fire-breathing shred gods. So why hasn't it already been reissued? Boogie fans have certainly hollered from the rooftops for exactly that, yet Smith and co. have explained several salient reasons why it just isn't feasible. The most practical among these seems to be the difficulty in accurately replicating the original transformers—alongside, perhaps, some less-often-vocalized desires to move forward rather than look backward—but hey, c'mon… it's still the most highly acclaimed Boogie in history, so how about one more try at giving the people what they want? 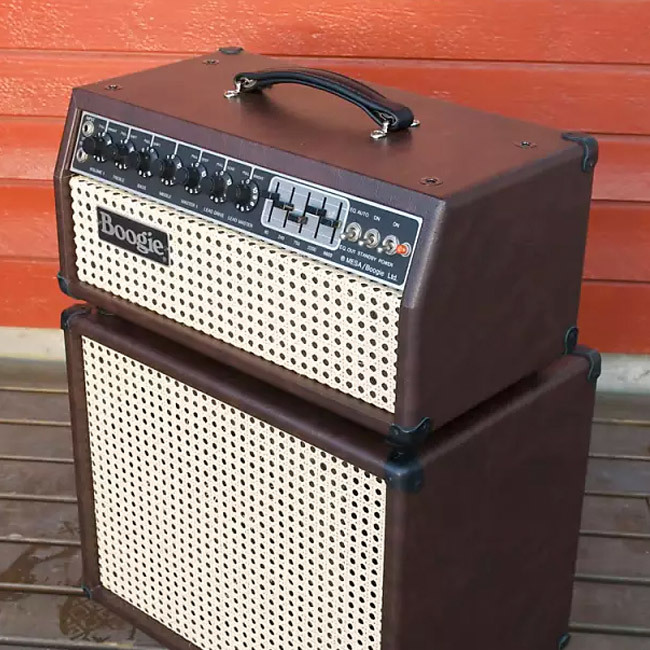 Canadian amp maker Traynor has previously reissued the YGM-3, and it's a cool and useful combo in and of itself. The earlier YBA-2 Bass Mate, however, is a different beast entirely, and is arguably more highly acclaimed as a little sleeper of a tone machine… for guitar. Later versions of the Bass Mate and Guitar Mate heads and combos moved on to fixed-bias EL84 output tubes, giving them an interesting blend of British-meets-(North) American voices. The mid-'60s Bass Mate YBA-2, on the other hand, packed a pair of resolutely American-sounding 6V6GT output tubes, which were run in cathode-bias, no less, like the legendary tweed Deluxe, for one. What's the difference? Cathode biasing makes the amp just a little juicier-sounding and more saturated with harmonic overtones when pushed hard, while the 6V6GTs retain a certain chunky, gritty voice that screams rock'n'roll. These amps aren't much count for bass unless you're keeping them pretty low, but cranked up for guitar they make surprisingly gutsy little tone machines. Controls included just Volume and Tone, but other nifty and generally unseen bonus features were found inside the chassis, where the Bass Mate circuit employed the same lustworthy Mullard/Phillips "mustard caps" found in vintage Marshalls, along with high-quality Hammond transformers. Also, the Bass Mate was just so compact, cute, and cuddly that the head configuration in particular has a certain irresistible grab'n'go appeal. 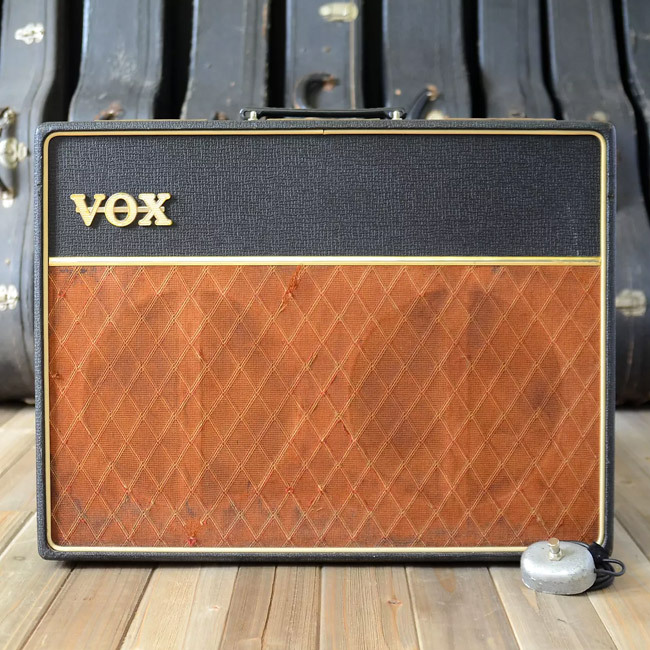 Speaking of cute and cuddly, the original Vox AC10 of the early '60s might have even more of an "aww" factor than its older sibling, the AC15. Vox delivered the AC10 Custom in 2015, and has long had an AC15 available in several iterations (which should be "five better" than an AC10, right? ), and yet none of this gets close to the nifty je ne sais quois or unbridled cuteness of the original JMI-made AC10. The earliest version came out in a 1x10" combo (about the only thing it has in common with Vox's current AC10C1), but guitarists know it best, and have seen it most, in the tasteful 2x10" version, aka the AC10 Twin—and if it's in fawn Rexine, so much the better. One key to the AC10 tone is its beefy, fat-sounding EF86 pentode preamp tube, the same used in the original AC15 and the very earliest renditions of the AC30. You really can't replicate anything close to the original AC10 tone without that tube. Otherwise, it's 10 watts of droolworthy cathode-biased-EL84-with-no-negative-feedback goodness (colloquially "Class A") into a pair of crisp, toothsome 10" Goodmans alnico speakers. Lush tremolo came courtesy of an odd ECF82 tube that housed triode and pentode gain stages in a single bottle—a quirky, rare, and potentially microphonic tube at that, so we'd forgive Vox for reconfiguring the tremolo and second channel preamp stage via different tubes for our desired reissue. Perfect for studio and small club use, and able to hit that delectable and uniquely Vox transition point from clean into mean, this is an amp that really could use a thoughtful Hand-Wired redux. The combo's design, electronically speaking, is something of a splicing of a Fender blackface preamp stage and a Vox AC15 or Marshall 18-watter output stage with two cathode-biased EL84s. The former allows both Bass and Treble controls for each of two channels, with their EQ circuits sandwiched between the two gain stages from an ECC83 preamp tube each (aka 12AX7). The latter means a sweet and easy segue from clean to clipping, and a juicy, raw, rocktastic bundle of fun when you push it hard. Aside from all of that, these things just sound like your archetypal vintage British rock machine (Marshall, Vox, etc.) when cranked and roaring, and even more so when loaded with the stock Celestion Greenback 12" that many of them carried. Don't shun the WEM Dominator Mk I Bass model either. The circuit is the same as the Mk III guitar model, but the combo carries a 15" speaker instead of a 12", which was often a rarely-seen—yet glorious sounding—big Celestion Greenback. Faux croc. Blinking "magic eye." That's about all you need to know right there. The mid-'60s Zodiac Twin 30 is one of the coolest guitar amps to come out of Britain in the golden age of tube amps—or, heck, out of anywhere—and is well overdue for a reissue. 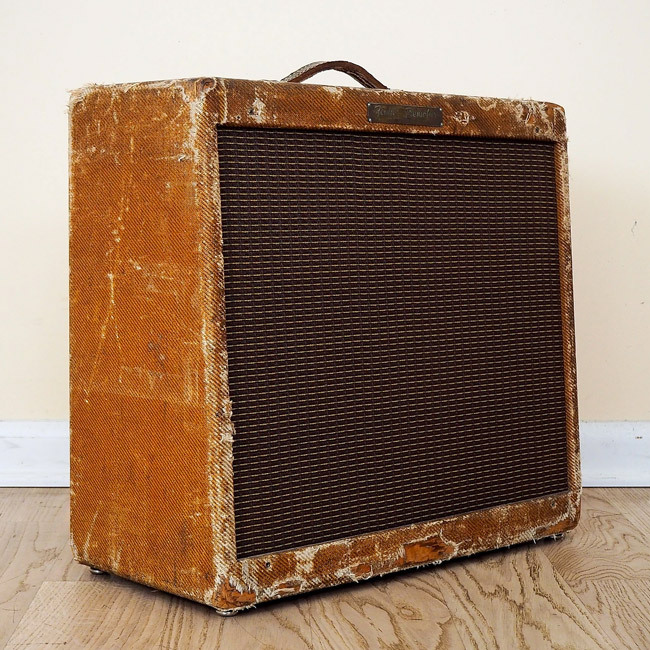 Selmer, long a big name in wind instruments, was one of the first makers to get into the guitar amp game in Britain, starting in the mid-'30s, and arguably remained the biggest player in the market right up until the late '50s. 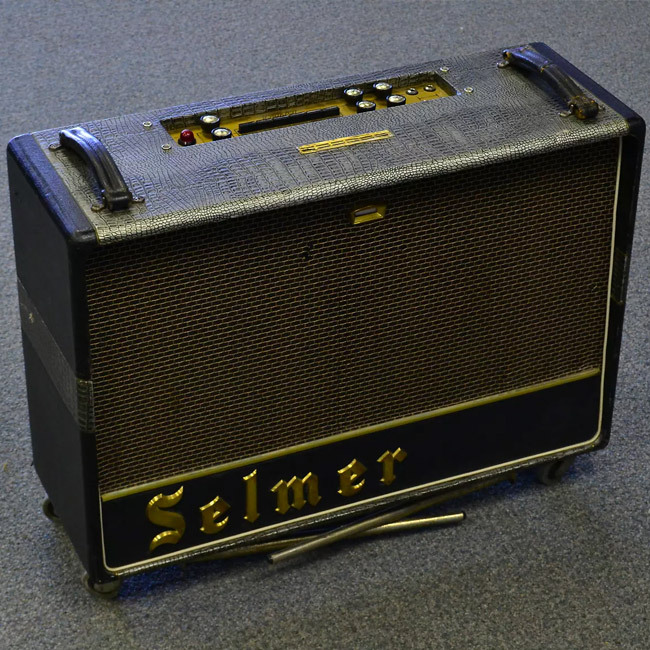 Given the early-adopter and erstwhile top-dog status, Selmer's designs were very much their own, and while they touch upon themes we've seen in other better-known British makers, their amp models were really something unto themselves. Each of two channels had Volume and Tone, but Ch2 also had a whacky six-button SelectorTone control (kind of a push-button VariTone), as well as tremolo… which, yes, triggered the front-panel "eye" to wink in time with its pulse. The Zodiac Twin 30 generated around 30 watts from a pair of cathode-biased EL34 output tubes (the same as used in a Marshall Plexi, but configured differently), while the preamp stages in each of its two channels had an ECC83 (aka 12AX7) feeding into an EF86 pentode preamp tube, as found in the Vox AC15. A pair of Celestion G12 Alnico speakers took it all home. No wonder nothing else sounds quite like this amp, noted for its thick, rich, warm tone and beefy overdrive when pushed hard. And with its silver-hued mock-crocodile covering and silver-threaded black grille cloth, nothing else looks remotely like one, either. 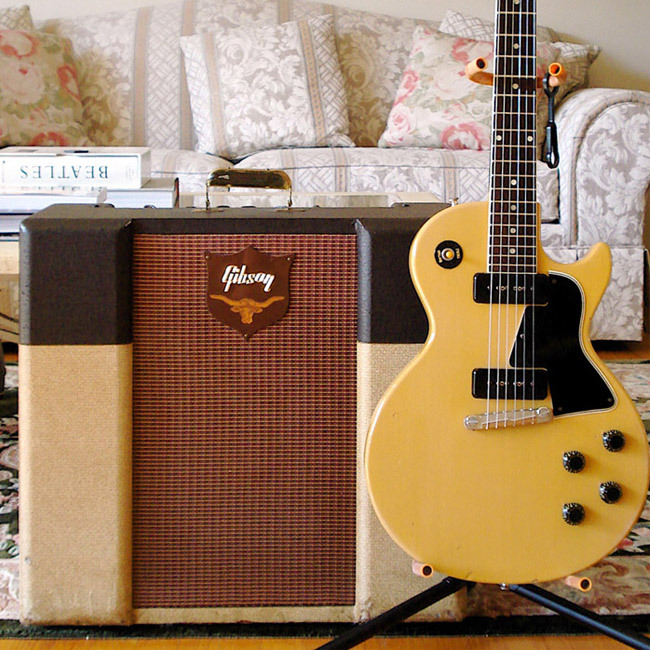 Do you have a favorite amp you'd love to see reissued? Let us know in the comments.